Experience Appalachian Heritage in Motion! WV Dance Company is a six member modern dance company based in Beckley, WV. The company was founded in 1977 with the distinct purpose of enriching lives through dance and with special emphasis on making dance more accessible to rural communities. 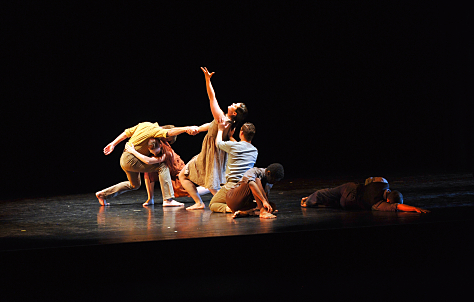 The company’s repertory is distinguished by its many unique works representing Appalachian culture, history and heritage. Beloved works such as “Sketches of Fall” and “The Mountains Speak” have long been hallmarks of the company’s brand, providing familiar, approachable themes that are engaging yet appropriate for an audience of any age. In addition, WV Dance Company has a long history of excellence in arts integration. The company’s touring education program is developed specifically for K-12 schools and is multicultural, curriculum-based and aligned with Core Content Standards including STEAM. The program is available to presenters as outreach or for student/family audiences. WV Dance Company’s programs are intentionally designed to be technically flexible and affordable to accommodate a wide range of communities and venues. Whether you are an experienced dance presenter interested in a multi-day residency, or have never presented dance but would like to build a dance audience, we have program options available. Contact us here to learn more. You’ll be surprised what’s possible!